10 Common Title Problems to Look Out For | Title Partners of South Florida Inc.
A property’s title is all of its rights in one package. When a home is sold, the title transfers from one party to another. Common title issues that aren’t addressed can prevent a closing from going through. Worst of all, some buyers and sellers experience problems with closing on a house when title issues pop up at the last moment. At Title Partners of South Florida, titles and closings are our areas of expertise. If you’re wondering what a clouded title is, or if you’re fearful of chain of title problems for any reason, read on to learn more about common title problems — and how Title Partners of South Florida can help. Easements: As easement is when some other party has the right to use your property for some specific purpose. The government could have a right to work on utilities there, or schoolchildren may have the right to pass through your side yard because the school building is just on the other side. An unknown easement can create title problems for your property if it is not discovered and discussed ahead of a closing. 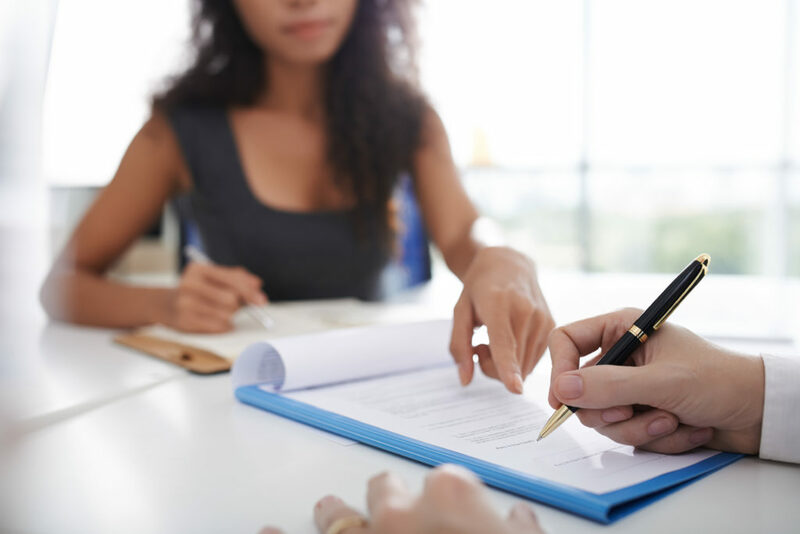 Encumbrances: This is a broader category that includes easements but also deed restrictions, encroachments and licenses. Anything that prevents a title from classification as free and clear is considered an encumbrance. Disputes: Records of properties are made over time. Occasionally, these records present different facts, which can lead to boundary and survey disputes. Any time conflicting records lead to boundary or survey disputes, the owner’s claim to at least a portion of the property is suddenly at risk. Wills: An unknown will discovered after the conveyance of a property could put the new owner’s right to the property at risk. Impersonation: If at any point a property was sold by someone impersonating the owner, that impersonation clouds the title and could put your claim to a property at risk. What does cloud on title mean? It means the title is not free and clear — and that the person occupying it cannot transfer the title until the cloud has been lifted. Forgery: Similar to impersonation, if documents are forged in any way, that could also cloud the title and put your claim to a property at risk. In cases of both impersonation and forgery, a crime has been committed. Although you’re not the victim, your life and interest are certainly affected. Heirs: Property often passes from one generation to the next at the time of an owner’s death. It’s only natural. However, a missing heir can create title problems. It can also be a challenge when an heir places a claim on a property not currently in his or her possession. Heirs can sometimes create serious title problems that must be remedied. Deeds: Deeds can sometimes be illegal. How? If someone signed a deed when they were of unfit mind, if they were under 18 or if he or she was an illegal alien, problems can arise. Each of these cases can create a deed issue that affects free and clear ownership of a property. Liens: A lien is when someone can make a claim to your property in certain situations. For example, if a loan is secured on your home, the lender can have a lien on the property. Sometimes unknown liens create title problems during a home transaction. Perhaps a prior owner never paid a debt, and some lender or creditor still has a lien on the property. Errors: Sometimes it’s human error that creates a title problem. A misspelled name or a misentered number can create errors in public records that could create issues for your property’s chain of title. When errors in public records come up, it can occasionally cost money to remedy. Are you sure about the title of a property you’re about to buy or sell? If not, the closing of a home could turn into a complicated and ultimately unsuccessful transaction. At Title Partners of South Florida, we have the experience and know-how to make sure each and every closing goes smoothly. We put in the extra time and effort needed to ensure the title involved in your transaction doesn’t suffer from any of the above title problems — which helps your closing go without a hitch. We’ve also created a Homebuyer’s Closing Information Guide, which provides valuable advice about anything and everything you will need to know during the real estate closing process. Download the free guide today to ensure you feel safe and secure completing the closing process on your home! Get in touch with Title Partners of South Florida for a free title insurance quote or more information about how we can ensure your closing goes as smoothly as possible.